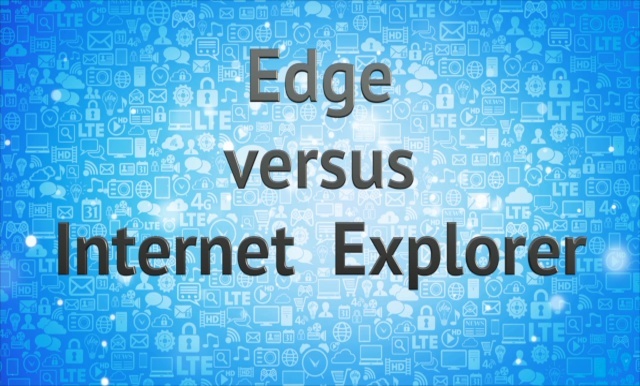 How Microsoft's strategy pushing Edge seems to be dooming both Edge and IE (and how you can get IE back in WIndows 10). What Does "Unsupported Software" Really Mean? Could you define Unsupported Software please? Is it something like Windows XP which Microsoft will not protect anymore from viruses or whatever it was taking care of…so that now almost everyone has changed to W7, 8 10 or some other upgrade? Windows XP is certainly one example, but the topic of unsupported software turns out to be much more complex than we might think. There's unsupported, and there's … unsupported. Let's review some of the different aspects of unsupported software. Continue Reading: What Does "Unsupported Software" Really Mean? In response, security folks created something called "two-factor" or "multi-factor" authentication. It's something I strongly suggest you understand and consider using. Recently I tried to use RoboForm for an account at a large financial institution, but I couldn't get it to work. In response to my inquiry, this institution said they do not permit log in using credentials that are stored on software because the security of the password could become jeopardized if my computer were hacked, invaded, etc. Is this true? Am I safer not to use tools like RoboForm? There are people who believe that using password managers represents a single point of failure. Very technically, they are mostly correct: if someone gains access to your password manager, they have access to everything within it. But not-so-technically, I strongly believe they are seriously misguided. Using a password manager is, in my opinion, significantly safer than the alternatives. Continue Reading: Are Password Managers Safe? Traditionally, authentication has been in the form of something you know: i.e. a password, and perhaps the accompanying answers to a set of security questions. Since this is simply based on knowledge (if you know your password, you must be authorized to access this account) it's easily transferred from one person to another – intentionally or otherwise. A popular implementation of this is in the form of key-chain fobs or smartphone applications such as Google Authenticator, which present a six-digit number that changes every 30 seconds. That six-digit number is generated by a cryptographic algorithm and is tied to your account in such a way that only your device has the correct number for your account at any point in time. Because the algorithm used to generate the number is based on a form of cryptography, it's not possible to predict the numbers that would be displayed without the secret keys held by the authentication system. You then simply "prove" you have your phone or key-chain fob by entering the number displayed on it when requested. While each can be used in isolation – something you know, something you have, or something you are – as the very common "single factor authentication", requiring more than one factor increases security dramatically. While two-factor authentication naturally requires two, it's actually a subset of "multi-factor authentication", which can require two or more. In high school was were allowed a few elective courses, none of them all that interesting. But on a lark I chose typing figuring that it might come in handy some day. It was a mixed class of business bound kids, mostly girls heading for secretarial work and a few misfits like me who were heading for college. There were about a half dozen IBM Selectrics which were rotated through the class except for folks like me who weren't really going to get anything out of the class so why waste a precious resource on them. I didn't even have a machine at home on which to practice. I attended all the classes and achieved a speed of 20 words/minute by the end. Fair but I definitely wouldn't be getting any secretarial jobs in the future. Time passed and even in my college work typing didn't loom large. I muddled through any papers required (engineers don't write many papers) and didn't make much effort to improve my typing skills. There was no such thing as a personal computer at the time. Fortran programming was done on a keypunch machine and you got one run a day. Then the personal computer arrived and I got an early one; a Heath/Zenith. It seemed there was a lot of typing involved with these new computers. As time passed I noticed I was getting better and better and I didn't need white out. Without the fear of making a mistake which would bring my overall speed crashing down I could really go fast. Through my working career I flew on the key board always noticing my associates, who lacked my wisdom and didn't take any typing classes, hunting and pecking at their keyboards. Looking back I rank that typing class as one of the most important I've ever taken. Now that I'm a (lot) older a little arthritis has set in and I have a crooked left little finger so the "a" is getting really hard to hit and my speed has fallen off. And I've placed a curse on all tablets and phones because you can't touch type on them. To keep things in perspective, the risk involved with using a hotel's wireless network is small. Remember, millions of people using public networks - at airports, libraries, coffee shops, hotels, etc. - every day and the vast majority suffer no adverse consequences. Additionally, the majority of sensitive online transactions - such as banking, purchases and even Facebook logins - are encrypted via HTTPS and so even if somebody were to be snooping, they'd be unable to see the data exchanges in transactions.